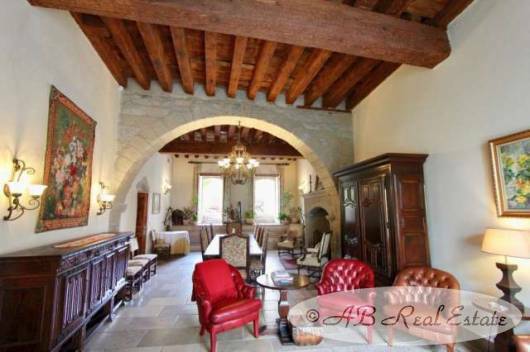 Built in the 14th Century, this exceptional town house is located in the region of Carcassonne in Limoux, Languedoc Roussillon, Occitanie, South of France. 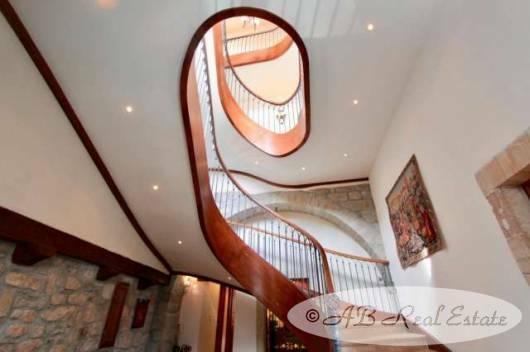 Built in its time in the old neighborhood of this small market town, it has been renovated with the finest materials, creating grandiose spaces permeating with natural light and luxury: the oval spiral staircase is a perfect example. 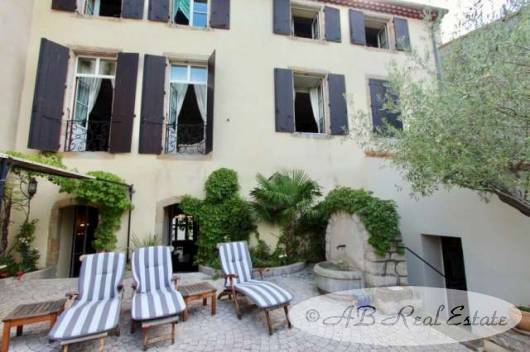 This distinctly impressive property, with its medieval stones and 19th Century décor, has been renovated with thoughtful care to a level rarely achieved, juxtaposing incredible charm with all modern comforts. There are tiled floors with Burgundy stones and in-floor heating on the ground floor, all other floors are in marble. Double glazed windows with two-sided frames (aluminium and wood) for low maintenance. Central air and heating throughout, doors and cupboard doors in solid wood… simply put: nothing but the best! 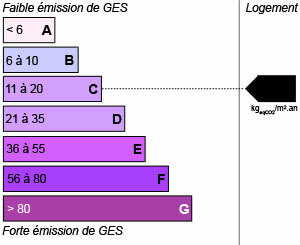 The house is accessible on both sides on different levels. On the ground floor on the river side there are various rooms including a seminar room of 40m² with vaulted ceilings and exposed stone. 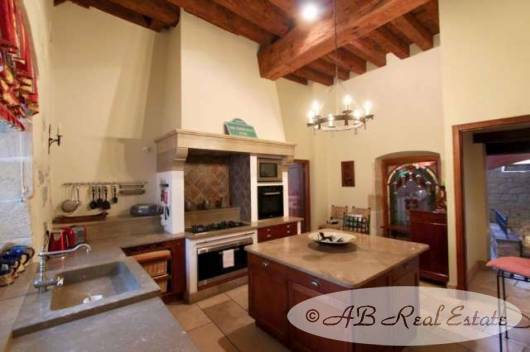 On the ground floor at the main entrance door side there is a beautiful foyer with an impressive staircase, the living/dining room of 60m² with high ceilings, exposed beams and an imposing stone-cut fireplace, a fully-equipped, custom-fit kitchen with stone sink and counters. There is also a utility room. 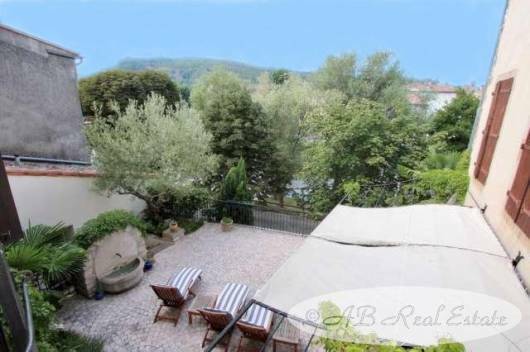 Further on, you’ll find a large terrace of 50m² overlooking the river, accessible from both kitchen and dining room. On the first and second floors you’ll find the parental suite with its own living space and the other luxurious bedrooms of at least 25m² each, all with an en-suite bathroom or shower room. 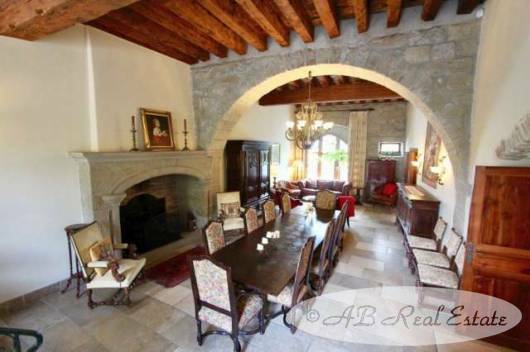 A unique and exceptional property not to be missed! Ground floor -1: Laundry room 4m², conference room 40m², storage room 4m², wine cellar 5m², corridor 10m², workshop 24m², rear entrance 5m². Ground floor: Entrance hall 12m², living room and dining room 57m² with high ceiling and large fireplace, fully equipped kitchen 23m², utility room 12m², hand washing area 1m², toilet 2m². 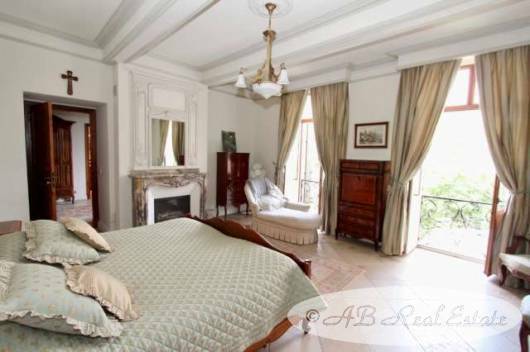 1st Floor: Landing 19m², parental suite overlooking the river and the small town, with living room 17m², bedroom 26m² with marble fireplace and en-suite bathroom 12m² with separate toilet. Bedroom 2 24m² with en-suite shower room 7m², toilet 2.5m². 2nd Floor: Landing 16m², utility corner 6m² with kitchenette, bedroom 3 25m² with en-suite shower room 6.5m², bedroom 4 23m² with en-suite shower room 6.5m², bedroom 5 18m² with en-suite shower room bathroom 4.5m². This exceptional property that has been very well maintained is in excellent condition and ready to enjoy straightaway. New double glazing on all the windows with aluminium frames outside and wood effect-frames inside, all in good order. 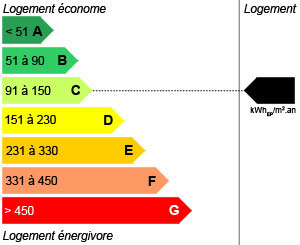 Central air conditioning and heating. High end materials, beautiful finishing, gorgeous stone-cut fireplace next to the dining room. A truly exceptional property! It is extremely rare to find a private town hotel where the quality of the renovation was executed with such intricate detail and yet keeps its historic 14th Century feel. It is located on the edge of a river in a commercial district, making it close to all amenities. Once inside, the property is charming, private and luxurious - a real invitation to stay and enjoy the warm feeling of this great town house. Ideally suited for main residence or as a second home with the possibility of developing a high end B&B if desired. Centrally located with quick access to various airports in the region, railways and highways. 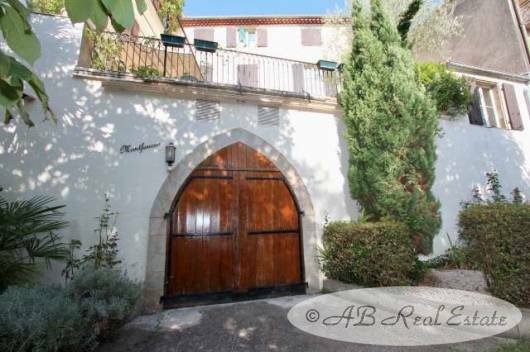 Exceptional property – must be seen! The small town of Limoux sits in the heart of the vineyards producing the Blanquette de Limoux, the local champagne! Blanquette and wine tasting in many wine cellars, flower markets, Cathare castles, Fontfroide Abbey, Saint Hilaire Abbey, Spa and thermal bath in Rennes-les-Bains, hiking or walking in the lovely countryside. The Canal du Midi and the Cité of Carcassonne, both UNESCO World Humanity Heritage Sites, are just 20 minutes away. The Cathare town Carcasssonne offers exhibitions, guided visits of the fortified walls and the castle all year long. There simply aren’t enough days in the year to benefit from all the charming boutiques and fine restaurants… The Carcassonne airport is about 20 minutes away, Toulouse with its international airport about 1 hour, the Mediterranean Sea slightly more than 1 hour, the next ski resorts 1.5 hours and Spain less than 2 hours away!